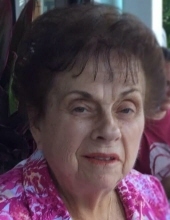 Geraldine “Geri” Quintal, 79, beloved wife of the late Robert A. Quintal, Sr. passed away January 16, 2019. She was born September 19, 1939 in New Britain a daughter of the late Stanley and Ceil (Kozlowski) Makucin and had resided in Plainfield since 1964. Mrs. Quintal had owned and operated the Quintal Insurance Agency with her late husband Bob, until her retirement. They moved to Ft. Myers, FL in 2014. She was an avid reader, enjoyed the beach, traveling and most of all spending time with her family. She leaves a son Robert A. Quintal, Jr., 2 daughters Lori A. Wong and Lynne M. Hill and her husband Jeffrey. 5 grandchildren Joshua Hill, Jamie Hill, Abygail Wong, Alec Wong and Adam Wong. A Funeral Mass will be celebrated on Saturday, February 9, 2019 at 11:00AM at Our Lady of LaSalette Church, 25 Providence Rd. Brooklyn, CT. Burial will be private. There are no calling hours. In lieu of flowers memorial gifts may be made to the Alzheimer’s Association, 200 Executive Blvd. 4B, Southington, CT. 06489-1058. To send flowers or a remembrance gift to the family of Geraldine “Geri“ Quintal, please visit our Tribute Store. Burial will be private. There are no calling hours. "Email Address" would like to share the life celebration of Geraldine “Geri“ Quintal. Click on the "link" to go to share a favorite memory or leave a condolence message for the family.